Ryuga finally graduates to full on Rider-dom, joining the fray as Kamen Rider Cross-Z! 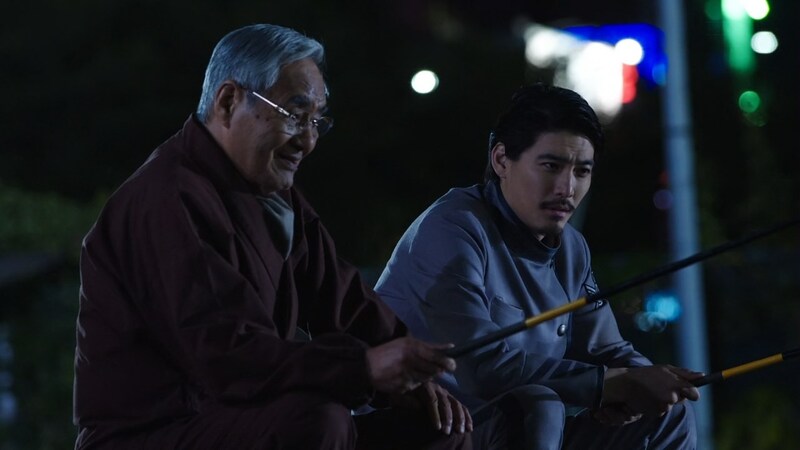 This is an odd couple of episodes for Build – they contain ramifications which should really be profoundly affecting to the plot, and yet I find myself largely unmoved by what they’re selling, for reasons I can’t quite articulate. Sure, there are some issues with execution, but I think part of my apathy is a reflection of larger problems with the structure of the show that are coming to the surface now that we’re an appreciable distance in. 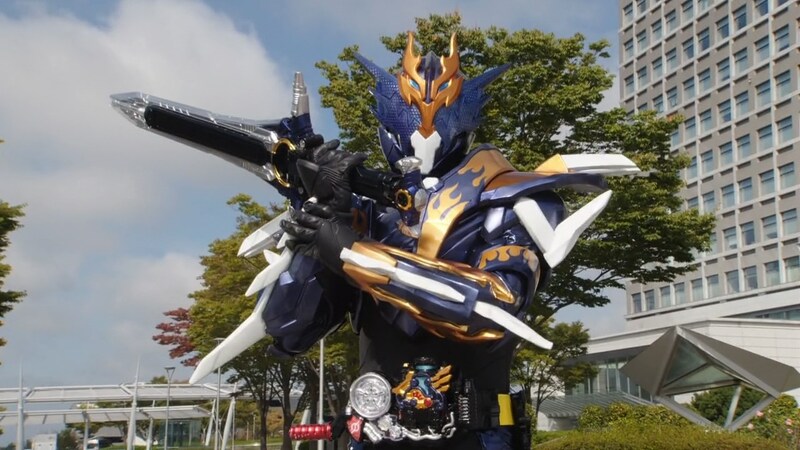 Firstly though, let’s deal with undoubtedly the biggest development of this pair of episodes, namely Ryuga finally taking his place at the second Rider table. I’ve got conflicted emotions about this – while the time that has been invested building up to this moment has been admirable (especially in a series and genre notorious for hot-shotting concepts for new toys), the actual execution is somewhat underwhelming. The decision to go back and plumb the ‘dead girlfriend’ well really feels like a regression for his character considering how much we’ve seen him advance since then, and I’d have preferred his big epiphany be driven by something other than stock footage we’ve already seen a million times. His actual debut is also curiously underwhelming – he takes down the Smash-ified Sawa in one hit, then crosses blades with Night Rogue for a hot minute. It feels like there could have been a more dramatic, more intense moment to introduce the form and give him a bigger, more high stakes initial victory. As for the actual look of the suit it’s…fine. I’m not a big fan of Build’s general aesthetic thus far, but at least it’s a coherent style and there’s a bit of flash in the morphing sequence. The other big plot point which I feel this pair of episodes falls down on is the unmasking of Sawa as a mole in the organisation. I commented previously it was by far and away the most interesting direction that they could have taken the character, so naturally this pair of episodes completely undoes that and returns her to the milquetoast status quo that she was in beforehand. It’s a kids show I know, but the speed with which she decides to reform and the willingness with which she’s accepted are such wasted opportunities for some meaty character work that I can’t help but feel a little jilted. Are we expected to believe she was so naive that being stabbed in the back by her traitorous boss was enough for her to alter her entire worldview? About the only thing which the entire mole subplot has accomplished is making Sentou and crew aware of the existence of Nanba’s involvement, something which could have been accomplished in any number of other ways. With all that said, one thing I really did enjoy about this pair of episodes was the use of a false-flag operation in episode 12. It’s a surprisingly complex idea by Kamen Rider standards, and the show does a good job of demonstrating how the setup appears to the characters while at the same time making it abundantly clear to the viewers what’s actually going on. I do wish that they had taken a bit more time to develop Utsumi’s character before having him take this central role (we’ve occasionally joked that he was actually a robot, so bland has he been up to this point), as it would have made the subsequent cruelty of his disposal more effective, but it’s still a pretty strong and shocking scene as it is. The final piece of the puzzle is the continued conundrum of Blood Stark, who by this point has been so all over the alignment map that it’s pretty much impossible to guess what he’s going to be doing second to second, let alone week to week. It would seem that stealing the Pandora’s Box for real this time definitely marks the point he and Gentoku definitively part ways, but given how indecisive the story has been about what constitutes an actual betrayal, I wouldn’t put money on it. The continued uncertainty definitely adds a lot of intrigue to the continuing story, but I feel the writing has teetered on the edge of plausibility for a while now – it’s confusing when it’s meant to be mysterious and often mistakes lack of clarification for genuine ambiguity. The increasingly heavy handed hinting that Stark is actually Katsuragi makes it a near cast-iron certainty that he actually isn’t, and I’m very interested to know who he actually could be – a strong reveal could definitely provide a great launchpad for making him the primary villain. Overall after these two episodes, I feel I’m a little concerned about how well Build is going to handle its ongoing plot. 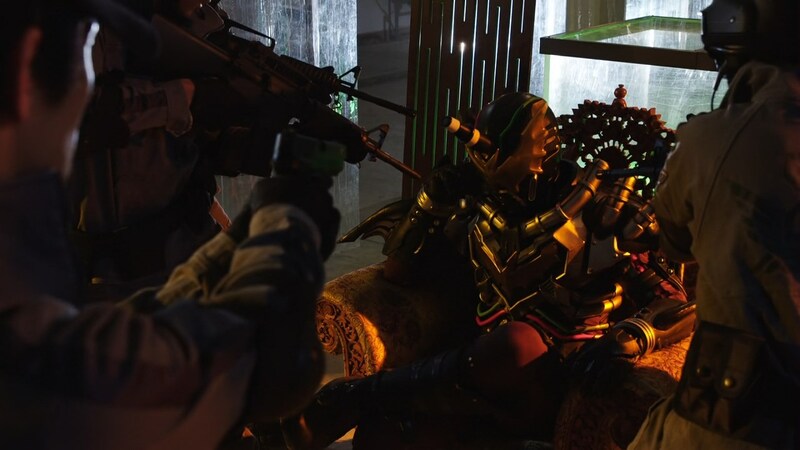 There’s still huge potential in many of its characters and storylines, but at the moment it’s being let down by some basic storytelling mistakes. Let’s hope they can tighten up all that stuff, because there’s still a lot of room for exciting stuff to happen here. I didn’t mention Sentou getting all his bottles stolen because it has almost no bearing on the plot, given he gets them back an episode later. Pretty much the only reason it happens is to provide an excuse for Ryuga to step in. 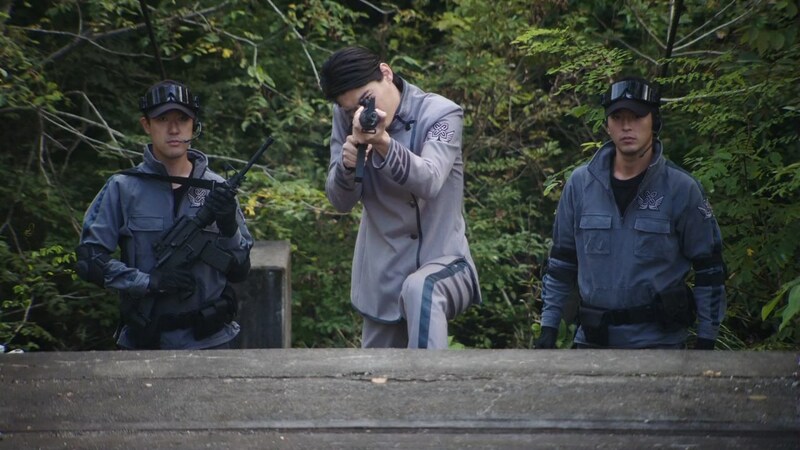 These two episodes are amazingly violent by Kamen Rider standards, with Gentoku shooting Utsumi with an actual, non-toy gun, and Stark disintegrating two security guards at the beginning of episode 11. Episode 12 has no opening for some reason. It certainly doesn’t feel dramatic enough to warrant that treatment. Cross-Z’s name is likely a homage to Kamen Rider ZX, who was pronounced as ‘Z-Cross’.